Quatrro Intelligence is a complete business management tool designed to aid key business stakeholders by providing state-of the-art analysis, reporting and report designing capabilities. Quatrro QPrism Documentation Defect based Forecast and Scorecard Analysis dramatically reduces cycle times by revealing Repeating and Recurring Defects and enabling high Velocity Defect Resolution. Quatrro Intelligence enables businesses leadership teams to measure and track overall key performance indicators (KPI's) which can increase operational efficiency and profits. 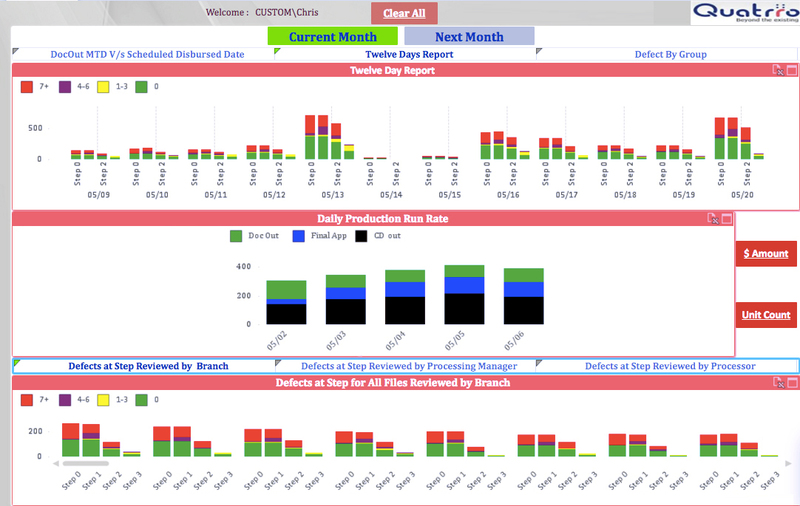 With best-in-class dashboards, alerts and reporting templates across various product classes and dimensions, we provide end-to-end transparency to production choke points, recurring and repeating loan defects. 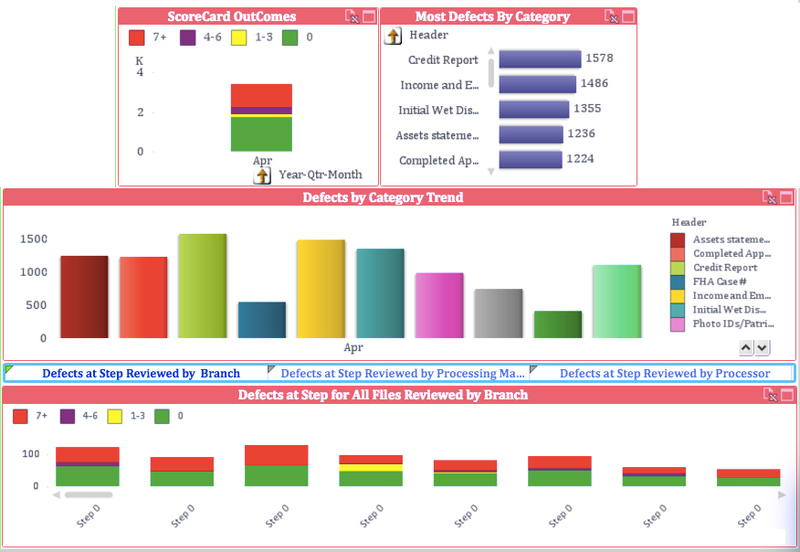 Our insightful dashboards and reports will equip key decision makers in your organization with actionable click 'n drill production and operations Information right down to loan level, source and parties the files.